As many of you, I went online for classic Mercedes-Benz parts. Many offers, many prices, ... very confusing. It started as a passion and now with over 10 years in restoring and selling classic Mercedes-Benz, I have thousands of parts available for vintage Mercedes-Benz. I created my website to help people finding quality and reliable parts for their classic Mercedes. 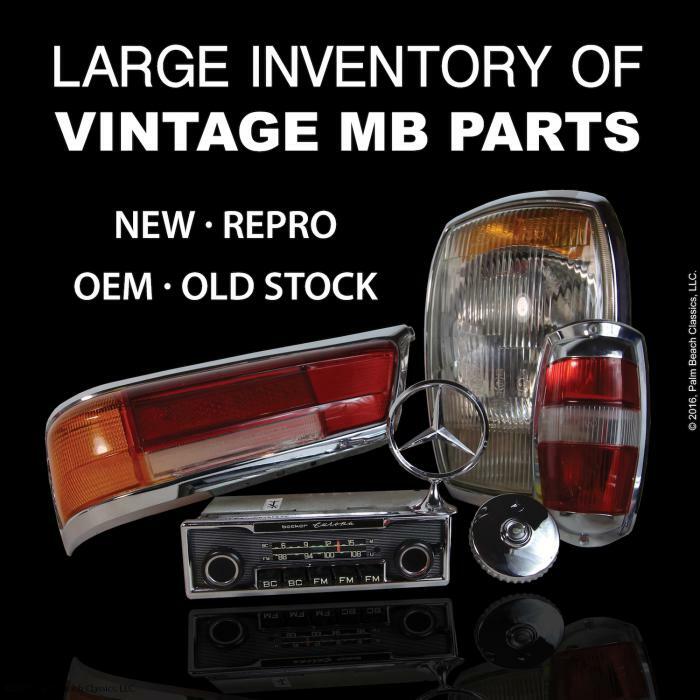 NEW | OEM | OLD STOCK | REPRO -- Your classic Mercedes-Benz deserve the best. Palm Beach Classics provide a large selection of vintage parts and support for the finest automobiles. Last edited by eric242340; 03-09-2017 at 06:21 AM. Whats the location of parts for sale items?